The city's head of transit and transportation doubts the city's $2-billion light rail project will be completed by March 31. Responding to a question from Coun. Diane Deans at Tuesday morning's finance and economic development committee meeting, OC Transpo boss John Manconi said he's concerned about RTG meeting its third deadline to hand over the project to the city. "I'm happy to be wrong, but I'm highly skeptical that they're going to achieve March 31," he said. 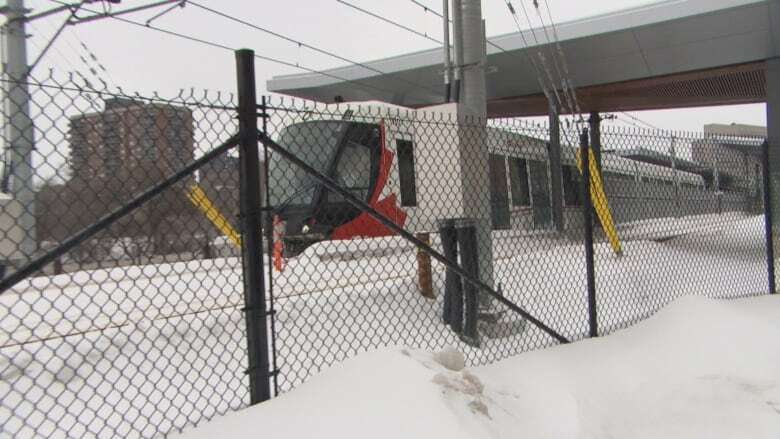 But Rideau Transit Group, the partnership led by international corporation SNC Lavalin, insists it will have LRT finished on time, despite a laundry list of significant-sounding issues that still exist with the system. It's the first time this has occurred since council confirmed the contract in December 2012. ANALYSIS: Will LRT be delayed a third time? Among the issues: not all 34 light-rail vehicles appear to be in working order (two of these vehicles make up a single train set). Also, more work needs to be done on the ventilation system. As well, there has not been any end-to-end testing of the LRT. The entire system must be operate 12 consecutive days as if it was in regular operation before the city takes over. Still, RTG told councillors they will meet the spring handover date. "I am still confident that we will meet the March 31 deadline," said RTG CEO Peter Lauch, who was summoned to appear at the meeting. But later in the meeting, Mayor Jim Watson also expressed skepticism that the LRT would be completed on time, even though as recently as last November, he said he had "great confidence" it would meet the deadline. "I think March 31 deadline is not achievable at this point," said Watson. "RTG is going to wear that. They told us today — you heard loud and clear — they believe they can make the 31st. I hope they're right. I don't believe they are." The 12.5-kilometre light rail system, which includes 13 stations running from Blair in the east to Tunney's in the west, was originally supposed to be completed in May 2018, but was delayed by the gigantic sinkhole that formed on Rideau Street in June 2016. Then, in early September, councillors were shocked to hear RTG would miss its second deadline of Nov. 2, considering they had just received an update in August that raised no red flags about the project. By missing this deadline, RTG has incurred a $1-million penalty. Early this year, RTG told the city it would be able to hand the LRT system over to the city by March 31. If RTG misses the spring deadline, it will incur another $1-million penalty.